Whipworms are an intestinal parasite that can occur in both dogs and cats; however, they are seldom seen in cats in North America. Whipworms are named for their characteristic whip-shaped body. The body is composed of a thin, filamentous, anterior end (the “lash” of the whip) and a thick posterior end (the “handle” of the whip). Adult worms are about 2-3 inches in length. The adult worms live primarily in the cecum (the equivalent of your appendix) where they insert their long, skinny ends into the lining of the intestine and feed on blood, other tissue fluids and the lining itself. According to the Companion Animal Parasite Council, canine whipworms occur not only in dogs but also in foxes and coyotes; in samples of dogs in the United States in shelters and at veterinary teaching hospitals, whipworms were found in almost 15% and 10% of dogs respectively. Keep in mind, though, that these results are based on the recovery and identification of eggs requiring specific preparation of the stool sample. Consider that eggs are not always shed and eggs are not shed immediately upon infection or even maturity of the adult worm. You can see that many infections may actually be missed meaning that true infection rates may be higher. How does my dog get whipworms? Unlike some other common intestinal parasites in dogs, whipworms cannot be transmitted via other species/hosts or between mother and offspring before birth or during nursing. Infection does not require direct contact with another dog. Whipworm infections only occur when a dog eats infective stage eggs from the environment. However, that means it can happen anytime your dog inadvertently ingests soil that has been contaminated with whipworms eggs, for instance, eating grass, rooting in the dirt, or playing with toys that have been in contact with soil. In addition, wild canines like foxes and coyotes can carry whipworms. Once deposited these whipworm eggs can survive in the environment for years. 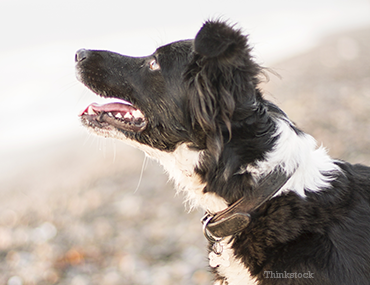 All of this put together means that the risk of infection to your dog can be significant. As mentioned above, the definitive test is to find whipworm eggs with a test of your dog’s stool sample. This test needs to be performed correctly and on a relatively fresh sample. Sometimes your veterinarian will make a presumptive diagnosis of whipworms, even in the face of a negative stool sample test, based on clinical symptoms and response to appropriate therapy. Please note that most de-worming medications that are available over the counter are not effective at killing whipworms. Your veterinarian needs to provide you with the right medications to clear a whipworm infection. No, you cannot. People sometimes confuse whipworms with the pinworms children get. They are not the same thing. How do I prevent whipworms? Given the fact that whipworm eggs survive for so long in the environment, in areas where whipworms occur, all dogs are at risk of infection and previously infected dogs continue to be at risk for re-infection. Always clean up after your dog to remove feces from the environment before any eggs can become infective. Talk to your veterinarian about maintaining your dog on a monthly treatment all year round to control whipworm infections, and have your dog’s stool sample checked yearly as part of his/her routine wellness examination.